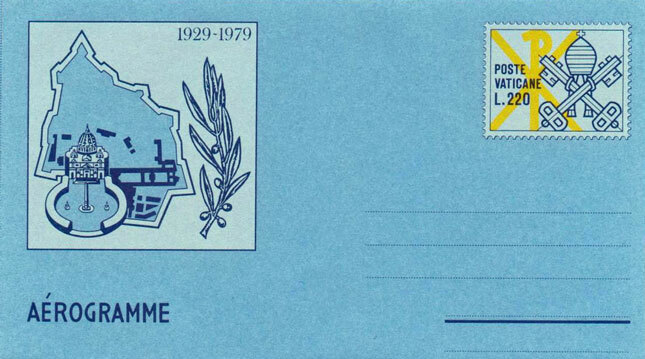 1979 Vatican aerogramme commemorating the 50th anniversary of the founding of Vatican City State. On the right is a printed 220 Lire stamp featuring the crossed keys surmounted by the tiara. On the left, a stylized reproduction of the plan of Vatican City with St. Peter's Basilica and an olive branch. Mint condition.